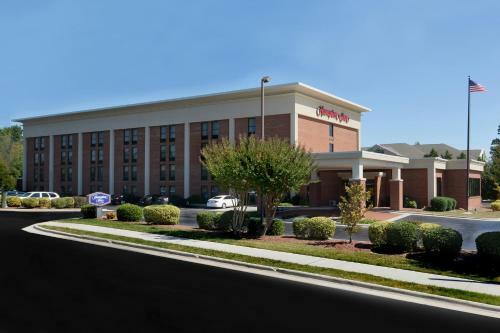 Located in a tree-filled region known for its furniture production, this Hampton Inn features an outdoor pool. 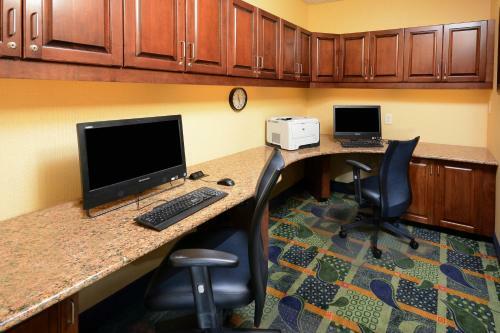 Free Wi-Fi service is available throughout the hotel. 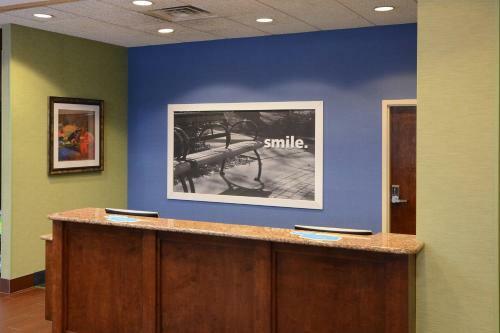 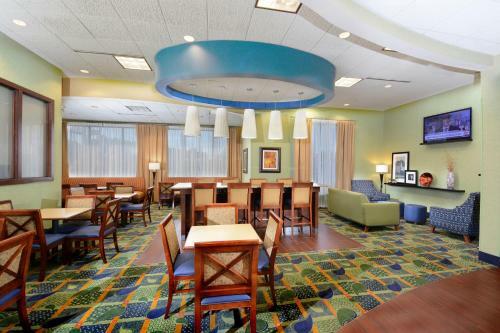 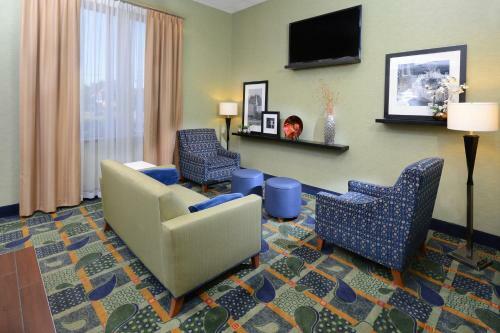 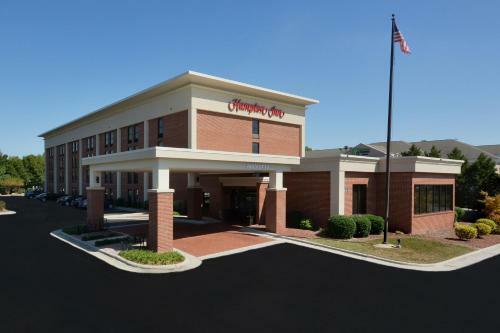 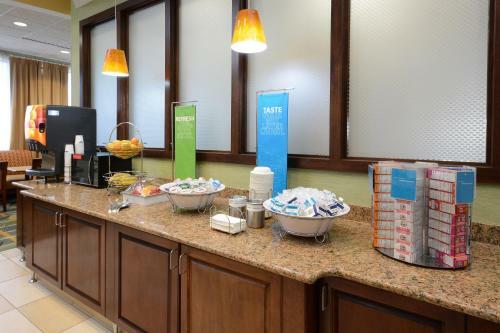 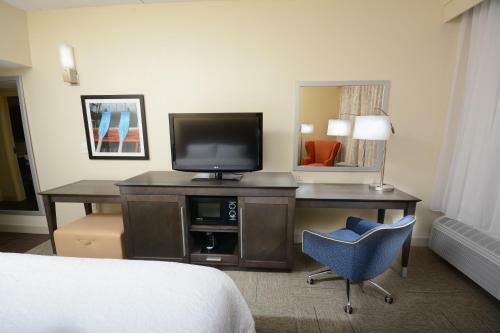 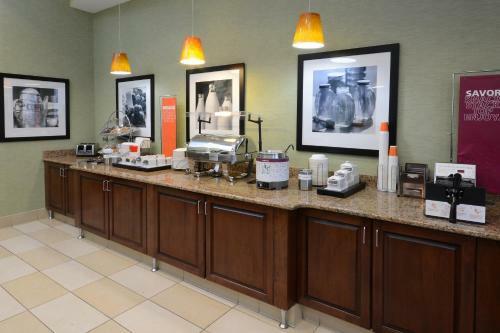 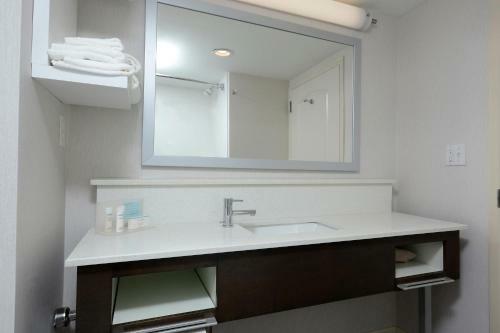 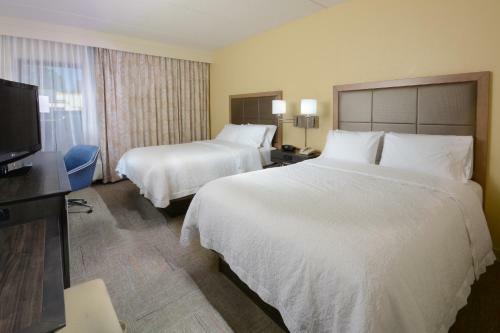 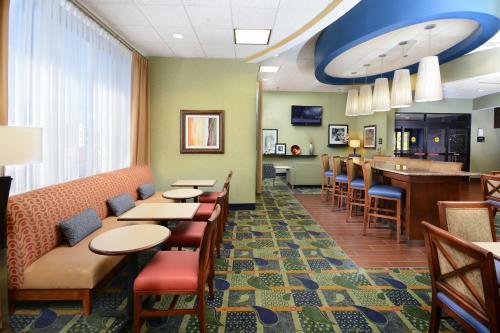 Rooms at the Hampton Inn High Point contain cable TV, a work desk and ironing facilities. 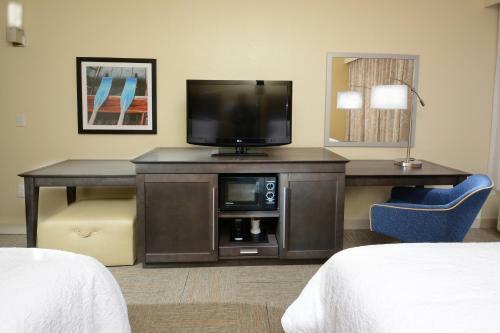 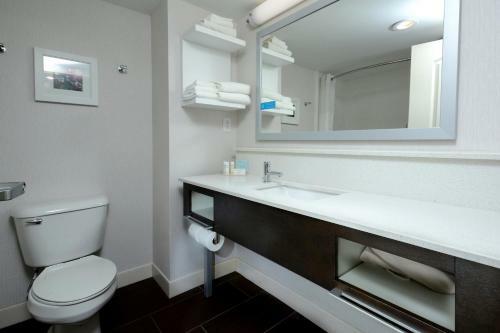 Some rooms include a microwave and refrigerator. 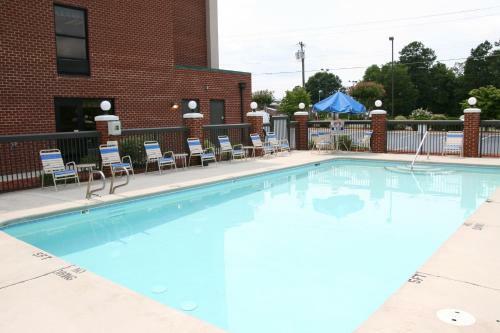 Seating is available beside the outdoor pool. 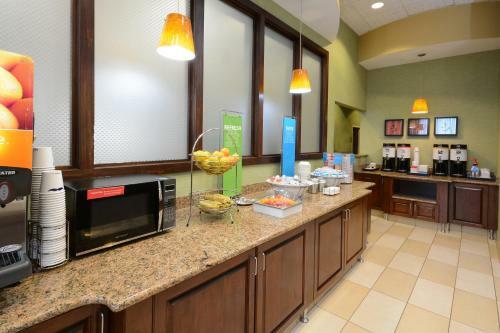 The hotel also offers free passes to an offsite fitness center. 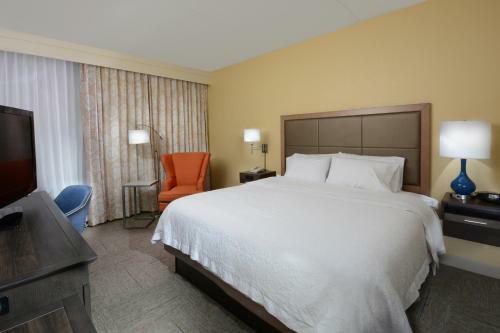 The High Point Hampton Inn is 5.5 miles from the 38-foot tall “World’s Largest Chest of Drawers” and 14 miles from the All-a-Flutter Butterfly Farm. 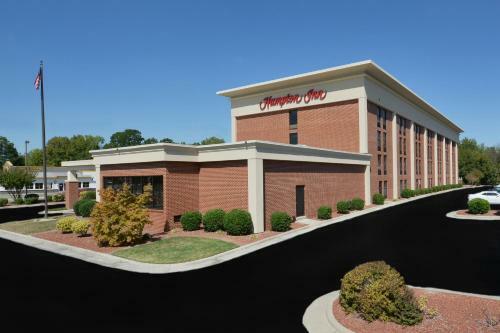 The Richard Petty Museum is a 20-minute drive, or less, away. 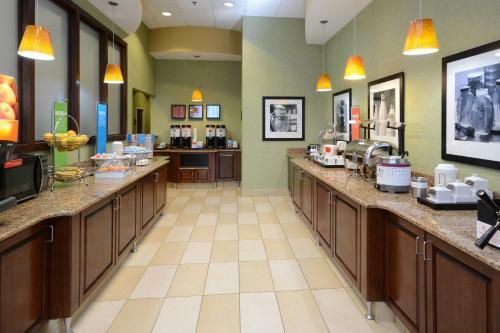 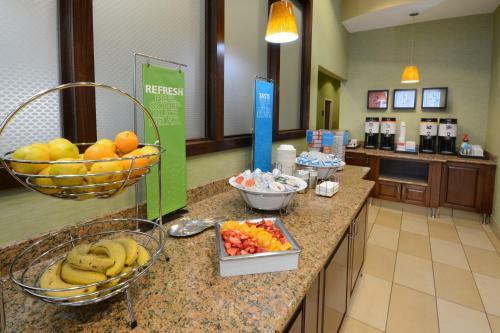 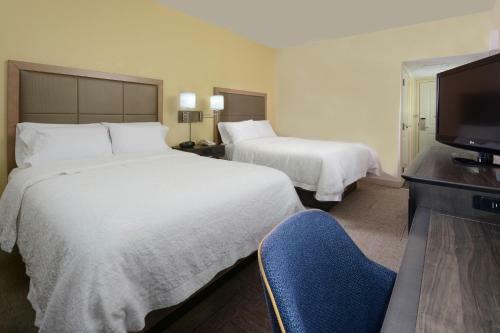 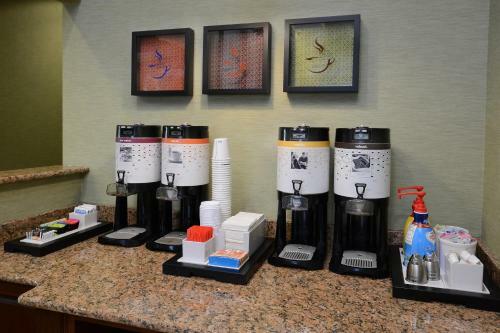 the hotel Hampton Inn High Point so we can give you detailed rates for the rooms in the desired period.